Northeastern University's chapter of Students for Justice in Palestine claim their rights to free speech are being violated by the school. 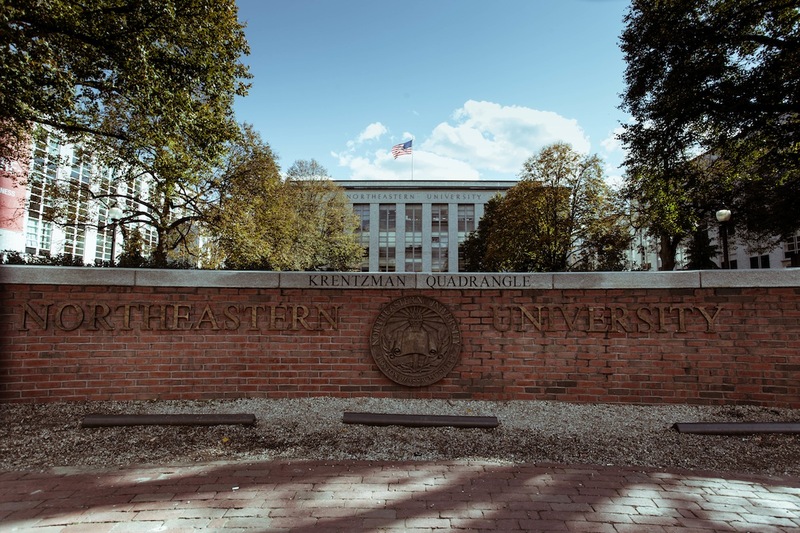 By Steve Annear·	 3/17/2014, 3:10 p.m.
On Tuesday, protesters are planning to show solidarity and support for a group of Northeastern University students that recently had their organization shut down by school officials. According to an event page organized by the Boston chapter of Jewish Voice for Peace and a lengthy list of local organizations, over 200 activists are “expected” to coalesce on the sidewalks near Northeastern property to back Students for Justice in Palestine, or SJP, a student-run group that advocates for the rights of Palestinian people in the West Bank and Israel. The university suspended the group last week for allegedly violating terms of the Student Organization Resource Guide. Two of the students from SJP are facing disciplinary action for allegedly rallying members to raise awareness about the conflict between Israel and Palestine through a campaign where they slipped more than 600 mock eviction notices under people’s doors in residence halls. The notices were meant to bring attention to similar actions taken by Israeli forces that have removed Palestinians from their homes. Both SJP and their supporters have claimed that suspending the group for distributing the fliers impedes on their First Amendment rights, however. “We condemn the university’s strong-arm tactics as blatant violations of free speech and dangerous attempts to suppress academic debate on campus,” said Lisa Stampnitzky, a member of Jewish Voice for Peace-Boston, one of the co-sponsoring organizations planning the protests Tuesday. School officials said the group was suspended not just for their recent distribution campaign in residence halls, though. They claim the recent violation was the boiling point following a string of protests and other incidents carried out by SJP’s members over the last two years. School officials said rumors that the two students from SJP facing disciplinary actions are going to be expelled are false, but they did not indicate what types of sanctions they could hand down. Officials said specific violations that led to the suspension of the overall group included, “but are not limited to,” alleged vandalism of university property, and disrupting school sanctioned events held by other student groups. Last year, students in SJP staged a walkout during a presentation by Israeli soldiers in April. As the Globe reported in June, “…at the start of the event, 35 students stood, small signs taped to their shirts. One member called the soldiers war criminals. One or two chanted slogans. They were gone in a minute.” At the time, the students were put on probation for carrying out the protest during the presentation. Members of SJP posted the most recent suspension notice, sent to them by the Center for Student Involvement on March 7, on their website, and denied all of the allegations outlined in the report. “We contest every assertion the university makes in its suspension notice and feel that its existence represents another episode of disparate treatment SJP receives—on account of the perceived controversy of our point of view,” group members said in a statement. Besides the Boston chapter of Jewish Voice for Peace, the SJP has also received support from the American Civil Liberties Union. They also started a Change.org petition, which has nearly 6,000 signatures attached to it, calling for the SJP to be reinstated. “This is an attack on the fundamental rights of free speech and academic freedom and yet another example of the muzzling of pro-Palestine speech on college campuses,” the group wrote. Protesters are planning on carrying a live-feed of the event on Tuesday online, so those who can’t show up on campus can watch the action in real-time. The group can’t get reinstated as a recognized organization with access to school privileges until the start of 2015, Northeastern officials said.